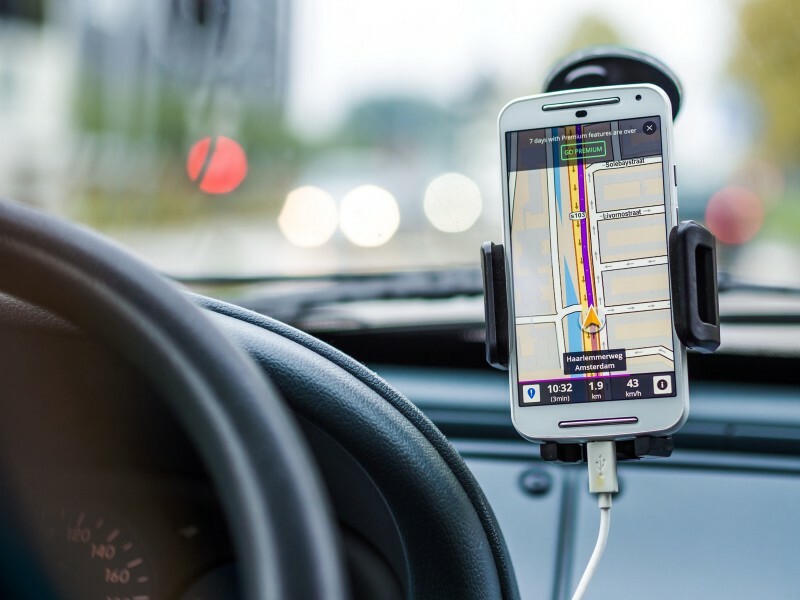 Location tracking and GPS systems have known intense growth and use by millions of people all over the globe thanks to the integration of appropriate software and hardware in modern smartphones. As such, it shouldn’t come as a surprise that the tracking industry as a whole has been flourishing for the past years. From personal GPS tracking to shipment tracking, it wouldn’t be an understatement to admit that tracking solutions have and will be playing an important role in stimulating economic and social activity all around the world, in a variety of industries and every day social engagements. Just think about the last time you used Google/Apple maps or used courier delivery services. The purpose of this article is to take a look into some important aspects of the tracking industry and introduce you to its recent state, with its currently already applied as well as developing technologies and solutions from a consumer’s perspective. What are considered to be the most prevalent tracking methods currently accessible for everyone and what are their specific characteristics? The history of heavy tracking dates to the beginning of GPS technology in the ’70s. The Global Positioning System (GPS) is a satellite-based radionavigation system owned by the United States government and operated by the United States Air Force. 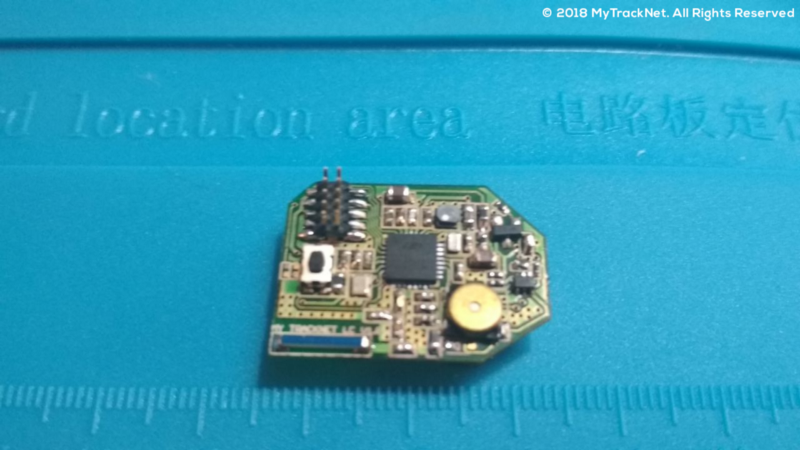 The GPS does not require the user to transmit any data and it operates independently of any telephonic or internet reception, though these technologies can enhance the usefulness of the GPS positioning information. It provides critical positioning capabilities to military, civil and commercial users around the world. The United States government created the system, maintains it and makes it freely accessible to anyone with a GPS receiver. In its early years the technology was not yet fully operational due to an insufficient number of satellites orbiting the earth. In the ’90s, after years of gradual growth, the GPS system was considered fully operational and reached its state we currently use. Even though it started as a military project, much like the internet, it came to be widely used by civilians and the general public. Even though GPS trackers have evolved to account for more efficiency in every aspect, consumers would always strive for better bargains according to their needs. 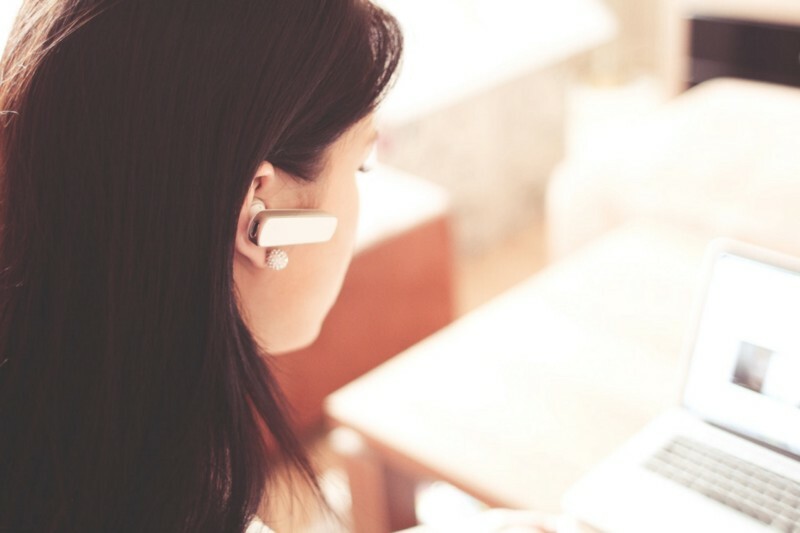 The rise of the Bluetooth tracking industry came as a reaction to this trending need of tracking personalization, which is to be able to keep an eye on your things on a daily basis for the minimum cost possible. 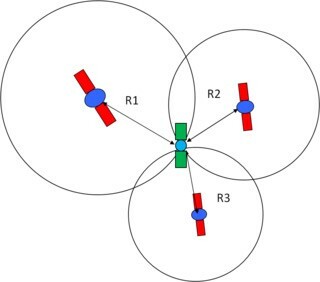 Bluetooth is a wireless technology standard for exchanging data over short distances (using short-wavelength UHF radio waves in the ISM band from 2.4 to 2.485 GHz from fixed and mobile devices, and building personal area networks (PANs). Most users came to know Bluetooth from its aggressive integration to mobile phones (then smartphones), which mostly substituted inconvenient infrared technology with extremely low range. 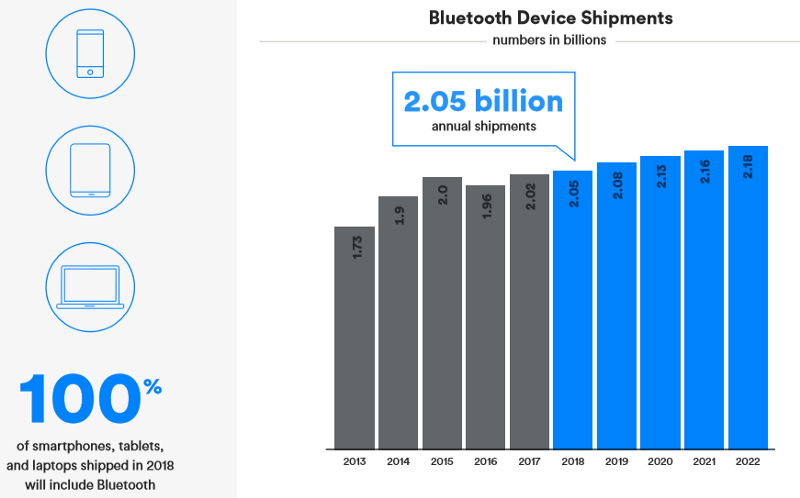 As mentioned in the Bluetooth Market Update of 2018, this year alone 3.9 billion devices will be shipped with Bluetooth technology on board, of which 2.05 billion will be smartphones, tablets and laptops. Bluetooth aims for 12% annual growth over 10 years starting 2013 until 2022. 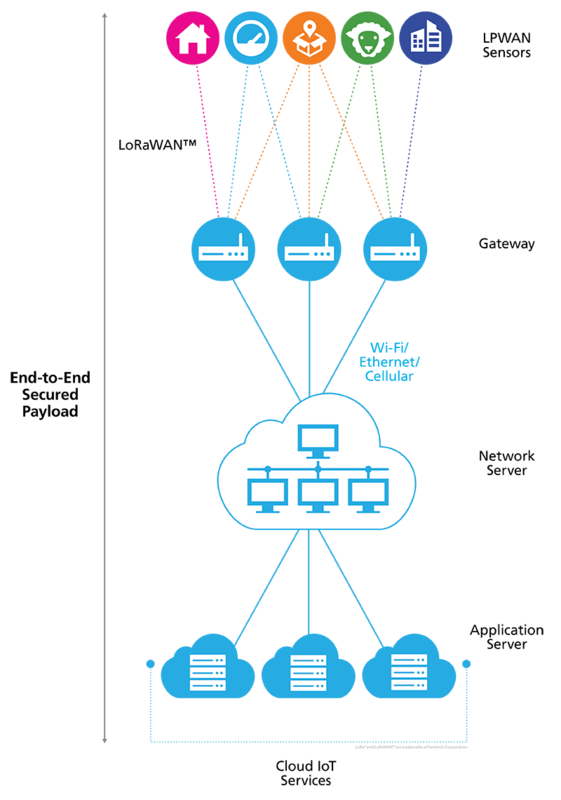 In its initial releases, Bluetooth was mainly used for wireless control and communication between a mobile phone and a handsfree headset, but after many improvements, mostly with the release of Bluetooth 4.0 (Low Energy) in 2010, it dominated the market and became a staple for wireless communication among a plethora of smart devices, paving the way for the Internet of Things. A newly introduced feature with significant impact in the industry is crowd tracking technology. By “tagging” a missing item in the native application, you request from the established network community to help you retrieve it. Most Bluetooth trackers in the market support some form of crowd tracking technology right now, leveraging the power of the crowd in order to secure participants’ valuables. As a commonly used feature, it has become a staple among Bluetooth tracking enthusiasts. However, in the market’s current state, it is severely limited and under-utilized due to the existence of many different locked networks which, as a result, diminishes its true potential and efficiency. Mytracknet combines its enhanced network concept with its own crowd tracking technology called “PoP”, short for “Power of People”. This way we enable each individual through community powered leverage, significantly assisting the retrieval process. Mytracknet will provide the required data (last known location, picture of missing asset, etc.) to nearby users asking for assistance, thus enabling the PoP feature. Mytracknet is being developed to tackle both problems from the ground up. It is not a mere software supplement to a gadget, nor does it want to exclude users of receiving value. Much like the GPS network is maintained through the same satellite network core, we aim to give consumers an application that will unite all Bluetooth hardware tracking solutions and integrate them to one massive global network consisting of trackers, smartphones and other smart devices. “LoRa (short for long range) devices and wireless radio frequency technology (LoRa Technology) is a long range, low power wireless platform that has become the de facto technology for Internet of Things (IoT) networks worldwide. LoRa is one of those propitious technologies that emerged with the recent Internet of Things case and is looking to take the wireless industry by storm. Through this article we attempted to take a look in the state of the established tracking industry, with more emphasis on its current solutions from a consumer perspective. We realized that the open, widespread distribution of GPS technology was a pivotal point that unlocked and enhanced economic activity, leading to its match with recent technological advancements in the high-tech industry that leveraged tracking options world-wide, mainly through the use of smartphones. The introduction of low energy Bluetooth technology in our handheld devices and its increased adoption rate in more hardware and peripherals, gave birth to the personalized daily tracking experience of consumer valuables in the form of Bluetooth trackers. This booming market, leveraged by public enthusiasm and funding, addressed very real and personal needs, but is plagued by ineffective practices and segmented networks. Technological breakthroughs and inventions, like LoRa and Bluetooth, need to be further investigated as to the extent of their application in current technology options. Their promise to deliver a scalable, long range, low power wireless platform falls into the spectrum of tech possibilities which may provide a feasible solution to current industry inefficiencies. Problems that applications and tech like Mytracknet’s try to tackle. Mytracknet pursues to build the next generation in both software and hardware in tracking solutions. Ideally, we are aiming to provide consumers with an open, free application, compatible with an increasing range of smart devices, contributing to the Internet of Things that will encompass tomorrow’s economic and social activity. 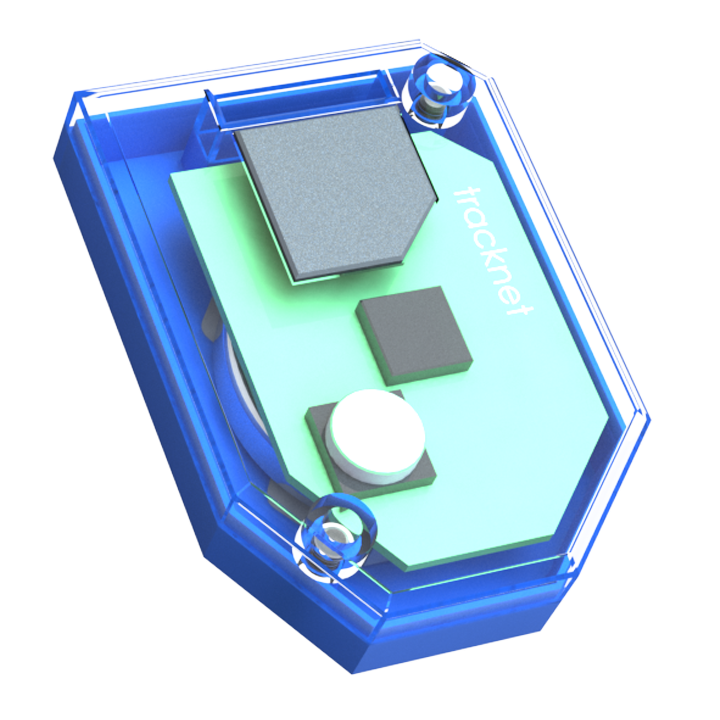 Mytracknet’s hardware solution, the next generation Bluetooth tracker, will encompass all the functionalities consumers are expecting from successful models along with many pioneering synergies and advantages that are being currently explored through its development. We are excited to share this trip with our early adopters, tech enthusiasts and investors who we consider as partners in achieving our goals.